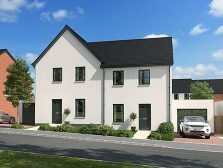 Tarka View is a collection of 185 new, freehold, homes in Crediton, ranging from one-bedroom apartments up to large four-bedroom detached houses. Crediton is a popular and thriving market town located in beautiful Mid Devon, offering idyllic rural living with the convenience of outstanding local schools and amenities. 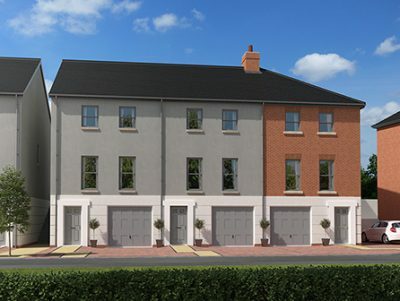 The development offers a range of different house styles, traditionally built, that are ideal for first-time buyers, growing families and downsizers looking for new homes in Crediton. The development itself takes its name from the scenic Tarka Line railway, which links Crediton to North Devon and the nearby city of Exeter. Tarka View provides quick and easy access to the A377, the main road which connects Crediton to the city of Exeter (less than 7 miles away). Within easy walking distance, you'll find the town’s largest superstore, situated next to a popular pub, The Red Deer. Our main road is called TARKA WAY, EX17 3FF. Crediton has excellent education provision for all ages, and Queen Elizabeth’s School (QE) enjoys a strong reputation. It’s the only state school in Devon that offers boarding and its Sixth Form has been judged by Ofsted as “Outstanding”. If you are looking for a beautiful new home, Crediton offers a superb location, striking the perfect balance of a busy market town with a thriving local community. What's more, HELP TO BUY is available - for both first time and second time buyers. 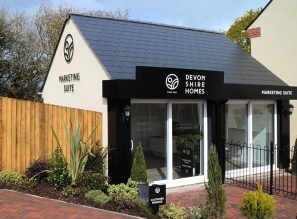 Our SHOW HOMES - a Copplestone and Morchard design, are available to view daily. Crediton is a lively market town in Mid Devon, just 7 miles from Exeter but also home to many local independent retailers. Crediton has a charming town centre and is home to a thriving farmers’ market on two Saturdays each month. 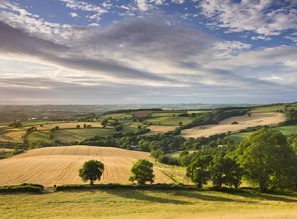 Much of Mid Devon is a designated Area of Outstanding Natural Beauty. Situated between Dartmoor and Exmoor National Parks, its hills, fertile valleys and woodlands are teeming with wildlife. The nearby Tarka Line is one of Britain’s most scenic railways, linking Exeter with the North Devon coast at Barnstaple. Exeter St Davids is only 2 stops from Crediton station and provides easy connections to London, Bristol and Plymouth.